I picked up a big ol’ Cinderella Pumpkin today. Big. 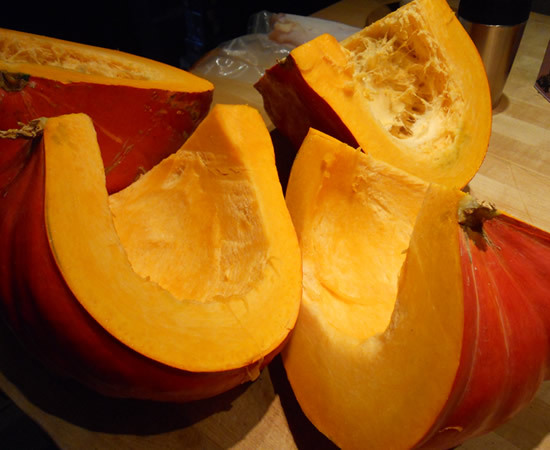 The Cinderella Pumpkin is a Vin Rouge D’ Etampes – an heirloom pumpkin from France. They have a deep orange-red skin and are slightly ribbed and flat. And they taste fantastic! Naturally sweet without being sweet, if you know what I mean. Great for eating because they’re meaty and not totally full of water. I didn’t think to take a picture of this beautiful pumpkin until after I had cut it open. What can I say… I’m not always the brightest color in the crayon box. But they really are cool-looking. 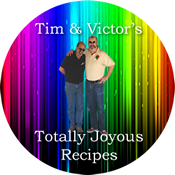 Did I mention they taste fantastic? I cut it up, peeled half of it and cut it into cubes. The other half I roasted skin-on. 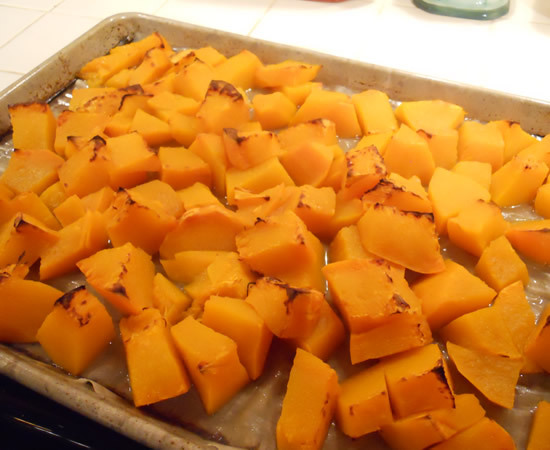 4 sheet-pans of pumpkin went into the ovens at 425° for about 25 minutes. With all this pumpkin around, it was a no-brainer to figure pumpkin was going to play a role in tonight’s dinner. We had 7 Hungarian peppers from the back yard that needed eating, so I seeded and sliced them, and then sauteed them with a small chopped onion. Next into the skillet went a cut-up boneless, skinless chicken breast and then a pinch of salt, pepper, and cumin. I added about a cup and a half of pumpkin puree and maybe 2 cups of cubed pumpkin. Mixed it all together and served it over whole-grain black rice. 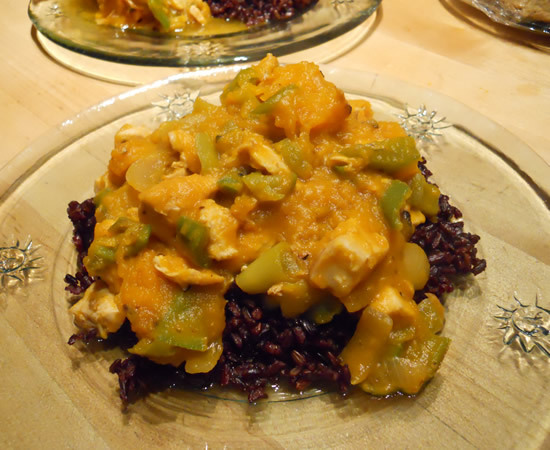 A classic fall flavor tweaked with mildly-hot peppers and served over rice. It worked on a variety of levels. I tried to play off the minimalist recipe creation we’ve been experiencing with the Monday Italian Pasta dishes. This was an easy one to let go on its own… the peppers added the balance to the pumpkin and the cumin – just a dash – brought the two flavors together. It actually would have worked just fine without the chicken and could easily become a vegetarian or vegan dish. I’m psyched. We’re gonna have pumpkin around for a while. And when this one is gone, I have a Fairytale Pumpkin to cook up, next. I love fall. Now… if the weather would just cooperate…..